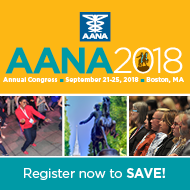 AANA 2018 Annual Congress – Register Today! Join us for the 85th annual AANA national meeting at the Boston Hynes Convention Center. AANA 2018 promises to bring technology to the forefront of anesthesia education. Refresh and expand your knowledge with hands-on patient simulation workshops and expert speakers. Register Today! Educational Experiences: Earn up to 25.25 Class A CE credits with up to 9.0 Pharmacology credits while meeting CPC requirements! Maximize your CE opportunities with a pre-Congress workshop (registration required) and a full agenda of new research and best practices in anesthesia, such as the Business of Anesthesia and the Fundamentals of Practice Management Track. 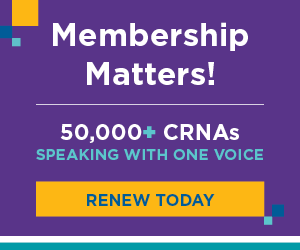 New this year, the call to all AANA members for abstract submissions ensures quality educational programming based on medical and scientific significance, timeliness, and quality of data. See accreditation statement. Keynote Speaker: Pablos Holman is a notorious hacker, inventor, entrepreneur, and technology futurist who looks at the world differently than most and is on a quest to solve the world’s problems through the innovation of technology. At the Intellectual Ventures Lab, he has worked on a brain surgery tool, a machine to suppress hurricanes, a self-sterilizing elevator button, a cure for cancer, and a gun that shoots laser beams at malaria-carrying mosquitos, among other important innovations. Networking & Fun: Meet up with colleagues and make new connections with peers from across the nation at the Wine & Cheese Reception at the exhibit opening, the Welcome Reception at House of Blues Boston, the AANA Foundation Fundraiser: Back Bay Bash in Boston, and the Annual Dinner & Banquet. AANA Connect Lounge: AANA staff will be at your service in the hub of all things new. Get answers to your association questions, meet up with colleagues, connect with industry partners, or just relax and charge your mobile device. JOIN THE CONVERSATION! 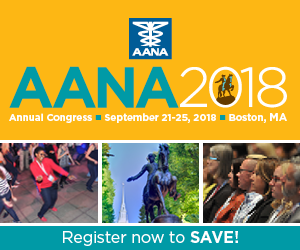 Share your registration on social media using hashtag #AANA2018. Click here for more information or Register now! Information provided by AANA. This entry was posted in AANA Info. Bookmark the permalink. Stay up-to-date with the latest happenings at DCANA & our featured CRNAs of the month! 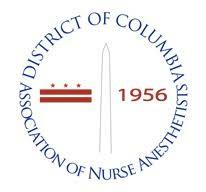 The mission of the District of Columbia Association of Nurse Anesthetists (DCANA) is to advance patient safety and care, practice excellence, and its members' profession at the local level.